Have you heard of role playing? Things like dungeons and dragons? 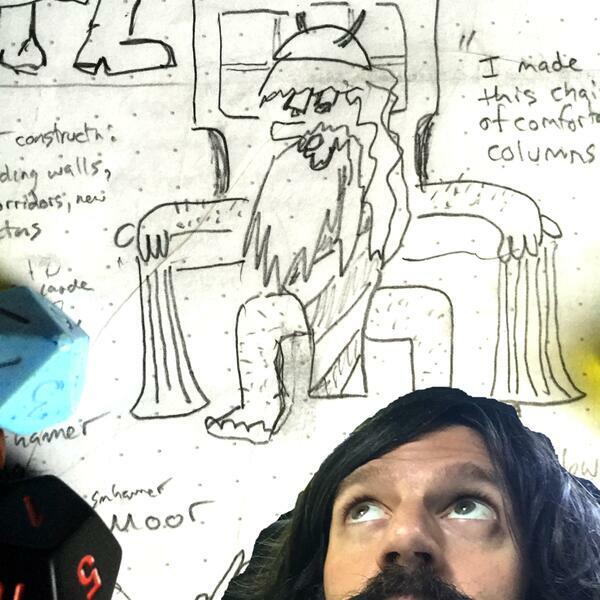 What if one person played the role of all the characters and the dungeon master? So exciting!!! ABOUT THE TITLE In this scenario you have a fixed amount of money with which to buy equipment and then go on an adventure of an uncertain nature. What if you save the money and steal the equipment?! Let the adventure start before it's even started!! But then while stealing equipment your key person, the one you rely on, falls in love with someone from the other side--well actually just a bystander, the barmaid. As your plan is about to go south you put everyone to sleep. It gets complicated when the Barbarian feels the love must have been reciprocated and kidnaps the barmaid. Don't worry he's a nice guy just doesn't want to leave her asleep and defenseless among thieves. Of course your own group is the biggest thief at the moment! Do they set the Inn on fire before leaving town? Listen to find out! FURTHER COMPLICATIONS It turns out another group of adventurers have come to the same inn to get the same or perhaps a different mission from someone in the Inn. FROM THIS EPISODE "I am alone at night; I'm going to play all the roles! Let the imagination run wild and the dice decide the outcome as one person takes on the multiverse in this solo group adventure!" WHAT'S GREAT The different characters are played by different people who bargain with the story leader for details of the story. It's great how they say extremely advantageous things about themselves and then the storymaster tamps them down, rolls dice to see if they happen or not, and narrates a tamer version as the reality. MORE ABOUT ROLE-PLAYING Think of it as creative group story-telling where one person sets the scene and plays villains and other background characters while the story's main characters are played by other people with individual agendas.